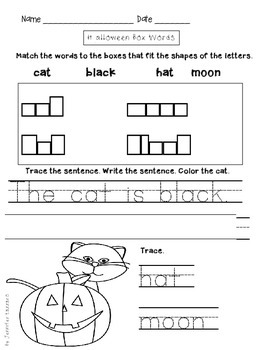 This worksheet shows students' abilities to put words into the correct boxes - based on the shape of the letters. It carries a Halloween theme. Students also write a sentence and trace two words. Credits by MyCuteGraphics.com and HelloLiteracyFonts (License).